Travel credit cards offer the best rewards value in Canada, as well as the best sign up bonuses, insurance packages and exclusive perks. And while that all seems great, travel rewards programs can sometimes be complicated, often offering multiple ways to use your points. Getting the best value requires some research and strategic planning. That's where we come in, giving you all the details to get the most out of your points. Our comparison engine removes the tedious guesswork and reading all the fine print – we take 50+ features of each credit card into account to give them a Genius Rating out of 5. This way, you can find the best travel credit card for you, with the least hassle possible. Review all top 10 travel credit cards here. special companion fare rates on flights. And we’re just scratching the surface. If you want the best card that will earn the most points, the is an easy choice. And with points being worth up to 1.75 cents each, that's a return of up to 8.75% on your grocery and restaurant spend – the highest in Canada right now. If that wasn't enough, as part of signing up, you get a welcome bonus of 2,500 points every month you spend $500 for the first 12 months. While earning lots of points is great, having multiple ways to redeem your points with great value is what puts this card on top. The best way is to use the American Express Fixed Points Travel Program, where you can redeem a set number of rewards for a set flight distance. Any way you slice it, there's a way to use your points to suit your preferences. And unlike Mastercards and Visas, all American Express cards have no minimum income requirements, making this card within reach of most people with good credit. Even the annual fee of $120 is more manageable as a $10 monthly payment. If you're an Aeroplan collector, the is for you. And while it doesn't earn Aeroplan miles directly, you have the ability to transfer your Membership Rewards points at a 1:1 ratio to Aeroplan. 1 point, per $1 everywhere else. Plus, with the Aeroplan changes coming soon, you'll be able to redeem your Membership Rewards points in other ways, if you wish. 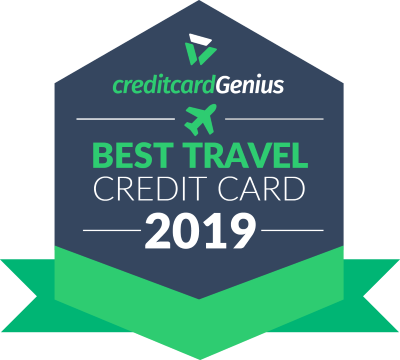 From transferring them to British Airways Executive Club (also 1:1) or Marriott Rewards (5:6), for example, to using the Amex Fixed Points Travel program, redeeming against any travel purchase made to the card, or using your points for cash back. Any way you look at it, you'll get truly valuable points, and not just with Aeroplan either. And like all other American Express cards, you'll get all this with no minimum income requirement, and an annual fee of $150. If you want a card that will not only earn airline miles but get you some awesome perks as well, the is the card for you. 1 mile per dollar spent on everything else. access to the Maple Leaf lounge (once per year only). Plus, with a comprehensive suite of travel insurance, this is a great card for all travellers. If you prefer a Mastercard (we see you, Costco shoppers), then the is the only Mastercard that made it onto our top 10 list. But don't be fooled, there's a lot of value to be found in this card. Flying with Alaska Airlines has its advantages, however, like getting an annual companion voucher for $99 USD plus taxes and fees – a great way to save on travel. If you like travelling around the world, this card could be right for you. While not on our list, the deserves mention as a great travel card, especially for shopping at Costco. It has the best earn rate of any AIR MILES credit card on the market right now – 1 AIR MILE for every $10 you spend. It comes with a great sign up bonus earning you up to 3,000 AIR MILES – 1,000 miles after making your first purchase, and another 2,000 after you spend $3,000 in the first 3 months. Plus, get a 15% discount on the number of miles you need to redeem for a flight within North America, and 14 types of insurance coverage – among the best of all credit cards. BMO and AIR MILES have a lot to offer in this card.